Moulton Loop House is not available for online booking. Please submit an inquiry or call our agents to get pricing and availability information. Close to Grand Teton National Park and Yellowstone National Park, 8 miles north of town square, 4 miles from Jackson Hole airport and 2 miles north of Jackson Hole Golf and Tennis. 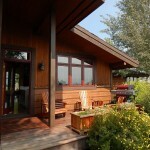 This luxurious home was recently remodeled and is situated on 2.5 acres. 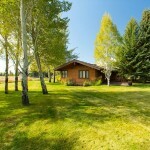 You will enjoy the country side setting, peaceful mountain views and abundant wildlife. This 2920 square foot home is compromised of 4 bedrooms, 4 baths. 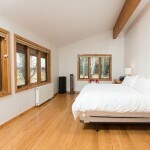 This home is fully turnkey with everything incredibly well stocked and a full kitchen designed for entertaining. There is a charming deck off the kitchen in which to watch the sunrise and a cup of coffee or grill your favorite dinner and enjoy the views across the plain of Sleeping Indian. 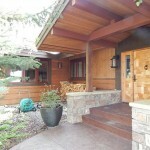 The north porch is private with large pines and aspen trees but also opens up to see the Tetons. 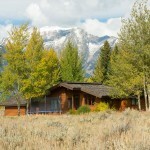 This house would be perfect for any season here in Jackson Hole! Cross country ski or snow shoe around the area or head over to Teton Village for the day for your downhill skiing. Fall sports all the golden aspens right in your yard. 30 night minimum. 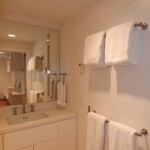 Please call for special arrangements for shorter rentals. Cancellation policy: All cancellations will forfeit the 5% resort/processing fee. We require half of the rent, half of the taxes and the full processing fee at the time of booking (non-refundable unless property is re-rented). The remaining balance is due 45 days prior to arrival (non-refundable unless the property is re-rented).